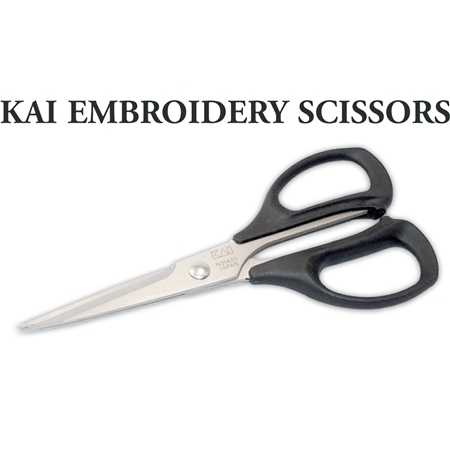 These 5½" embroidery scissors from Kai are perfect for all kinds of embroidery tasks, including clipping threads and trimming "dog ears". Made of hardened steel, the blades keep a sharp edge longer than some other blades. Plus, ergonomically soft handles allow you to cut fatigue free for even long periods of cutting!